Airports offer a long list of jobs that range in difficulty and experience requirements. If you enjoy working in a fast-paced environment that can be challenging, then you may want to consider a job in the airport industry. Work conditions in airports vary according to the exact type of job obtained. Air traffic controllers work with the National Airspace System (NAS) to control the movement of all air traffic. The main responsibility of this airport job is to ensure all planes remain a safe distance apart and to coordinate plane landings and takeoffs to reduce delays. 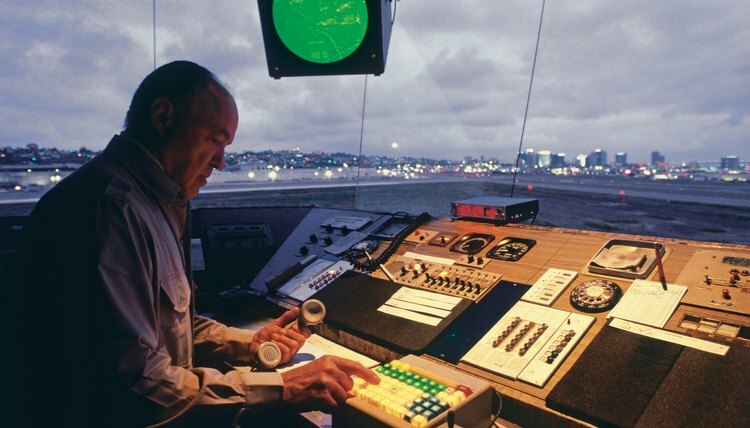 As an air traffic controller, you can select a specialty position. These positions include terminal controllers, terminal radar controllers, tower local controllers, en route controllers and clearance delivery controllers, just to name a few. All controllers work together to ensure efficiency and safety. According to the U.S. Department of Labor, applicants must have a four-year degree from an accredited institution or graduate degree from an FAA Air Traffic-Collegiate Training Initiative Program (AT-CTI). The U.S. Department of Labor also states jobs are expected to increase 13 percent by 2018. The average salary for an air traffic controller is $111,870 as of 2010. Aircraft cleaners clean aircraft between flights to ensure seats are free from garbage and proper materials have been placed in seat pockets. Other duties of an aircraft cleaner include wiping trays, vacuuming seats and aisles, organizing seat belts, cleaning toilets and galleys. Typically, an aircraft cleaner uses standard cleaning supplies: cloths, mops, vacuum cleaners and cleaning fluids. To become an aircraft cleaner, experience in the hospitality industry or as a housekeeper may help increase your chances of finding a job. No formal training is needed for this position; any necessary training will be provided on the job. 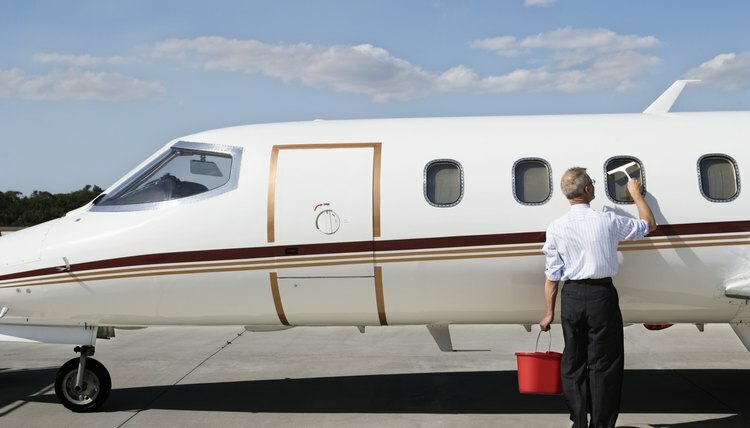 As of 2010, the average salary for an aircraft cleaner is $30,000 per year. 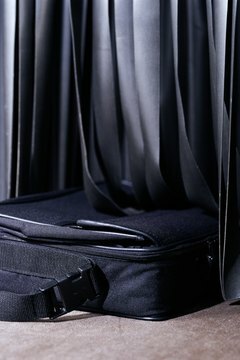 Airport baggage handlers hold different responsibilities within an airport. The main duties of handlers include loading, unloading and sorting baggage from incoming and outgoing flights. Baggage handlers utilize handheld scanning equipment to ensure baggage is placed on the proper airplane. To become an airport baggage handler, applicants must be at least 18 years old and have a high school diploma or GED. Applicants also must be able to stand for long periods of time, lift items in excess of 60 pounds and pass an FBI fingerprint background check. There is no formal education required for this position. All training will be provided on the job. As of 2010, the average salary for this position is $13.03 per hour. McLelland, Jonathan. "List of Airport Jobs." , https://careertrend.com/list-6595827-list-airport-jobs.html. 28 November 2018. What Are the Duties of an Aircraft Deicer?